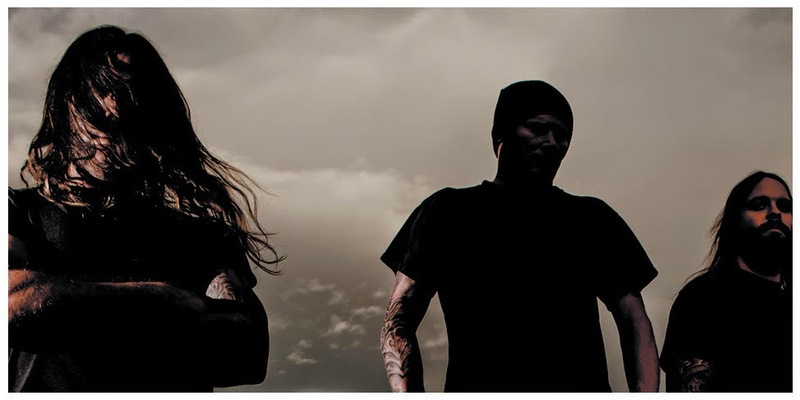 From Mammoth Lakes, California come Valdur, a three-piece blackened death metal group who united in 2003. At this point, the band have a couple handfuls of splits, EPs and demos in their catalog, and are currently on their third-full length release; At War With. With their previous albums, 2007's self-titled and 2010's Raven God Amongst Us, clocking in at just over half an hour each, their latest entry proves to be their longest effort yet. What should blackened death enthusiasts be expecting from this recent endeavor? 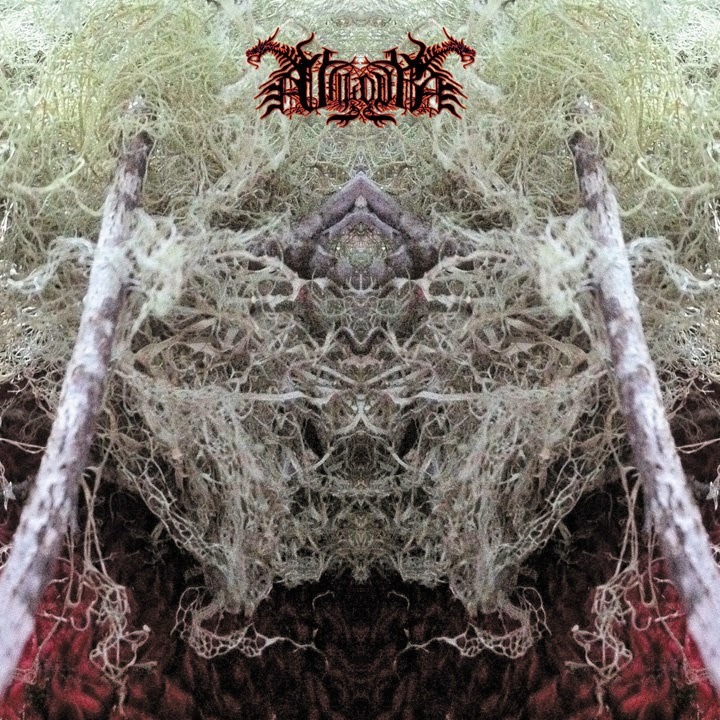 Where Valdur's earlier work either leaned towards either black metal or death metal, At War With has a slightly blackened tone to it for the entire duration, which is mostly granted by the abundance of tremolo riffs. The guitar rarely ventures into chords of any type, instead using crusty black metal techniques to char the material with an eerie unholiness. The bass does make its stand during a large chunk of the content, and in doing so it stands out vibrantly against the darkened sepia background. The atmosphere-developing track "Vast" shows off the depth of the bass, and also allows the hellish tone of the material to sink in to the listener. The instrumental "Hellish Dischord" should also be mentioned here for its highly enjoyable grooving bass thuds. For the exception of a few brief moments, the drums are almost always heard on a blast beat driven path. Unfortunately there is not much more that can be said about this element, as there are only so many ways that a blast beat can be described. The drummer is able to execute this method with tight proficency through a series of agile wrist flicks, and his bass drum stays well pronounced, thumping along with the bass guitar throughout the album. The few rolls and tom-tom beats that make it into the mix really help to break the material apart from the drearily consistent background. Valdur may find it in their favor to incorporate more drum variety in any ensuing releases. Despite the ludicrous amount of repetitive tremolo riffs and blast beats, "Hellish Dischord" and "Hammer Pit" are two of the more notable tracks of the album, alongside "At War with the Old World" for its catchy beats and ensuing lyrical patterns that follow the patterns set by the bass and guitar. For most of the duration of the material, the tempo sits at a stagnant medium-fast pace; although the structures do slow down for fleeting moments to incorporate old death metal grooves. At War With is a dry cut of new old school death metal with a blackened tinge and a sandstorm swept atmosphere that's laden in reverberating sound and a low grade 1980's sound quality. The material is very much in the vein of old Autopsy and surrounding bands, although the raw production doesn't sound authentic at times and rather that of a post-editing. Despite the genre and tempo redundancies, the content has some entertaining moments and is well worth a few spins for fans of the new revival era.